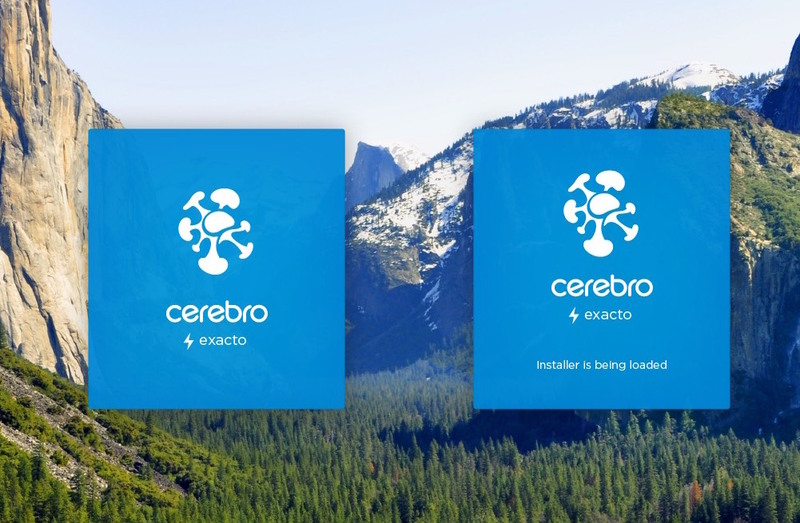 We are pleased to announce KWENT and Cerebro products integration. – For Cerebro users planning to have content approval with a large number of users we have a web-system for negotiations inside KWENT МАМ. Its results are available for review a matching task inside Cerebro. 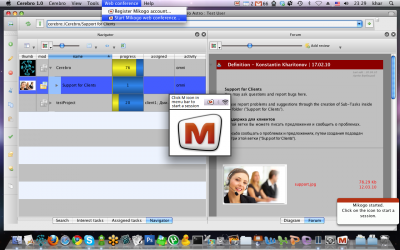 This integration allows to use features important for you inside KWENT МАМ without purchasing additional Cerebro licenses. 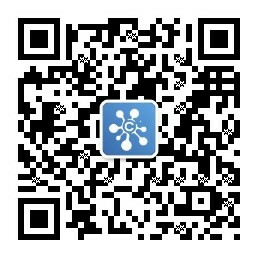 For trial access and further information please contact Julia Khokhriakova ( +79255119592, ykhokhryakova@kwent.ru). In this release we concentrated on an improvement of our planning tools. We call it Cerebro exacto. Basic panels are switched using a tabulator on the left. 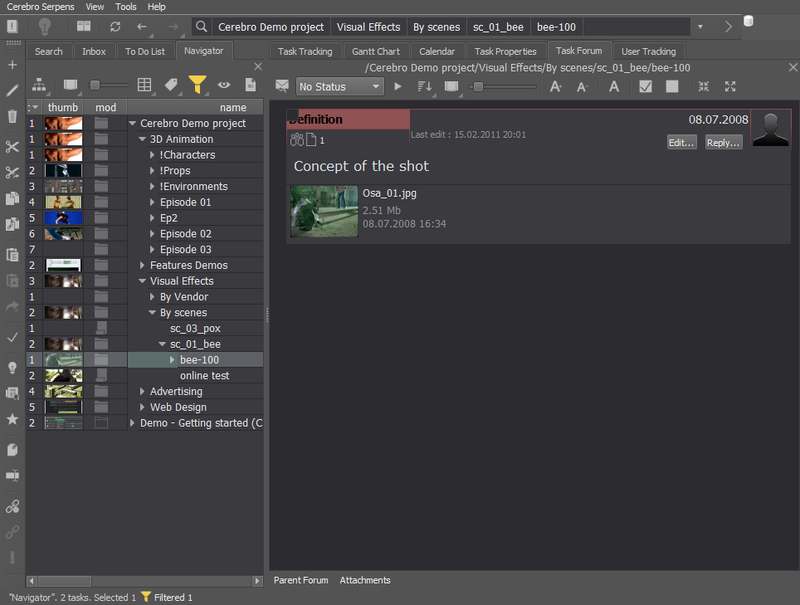 On the right there are buttons which open/hide a Forum, Task Properties and Assignments. The main panels may detach from the main screen by dragging a tabulator button. In the graphic region you can arrange and assign tasks. You can also perform the same operations as on the Navigator panel i.e create, move, delete, copy tasks, etc..
A panel of links is an additional window, where you can check your links in graphics. You can change the time of assignments and delete ones you don’t need using the Assignments panel. Planning tool allows you to arrange your tasks on a timeline. The planning tool now indicates when new users are added. 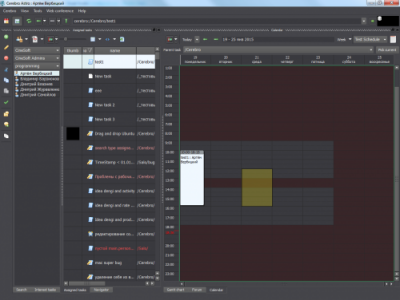 To move any user’s task for a specified time, there is a panel displaying all tasks assigned to the user..
Calendar is an additional way to view user’s tasks in graphics. Yo can also create your tasks on the calendar. Mirada has finally learnt how to draw straight lines, ellipsis, and rectangles, with vector editing enabled. 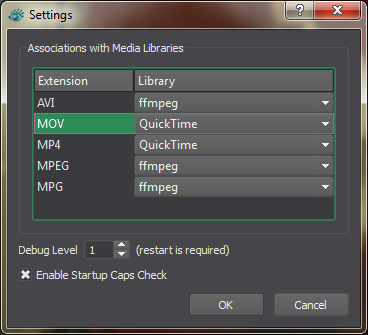 We have also added extra speed to work with h264 codecs and enabled working with DVCAM codecs. For each task from the list a unique filter is used. The filter window is opened is pressed , which is located on the top panel in the list . The filter runs in the interactive mode, that is, when you change some filter options, it will immediately appear in the task list. If there were some filtered rows in the task list, then in the status bar at the bottom of the main window, an indicator with the number of filtered tasks will display. Clicking on this indicator will open the filter window of the current list. More information about task filtering here. A new view (tab) is developed – “User Tracking”. It enables a bird’s eye overview to determine whether or not your colleagues are working, and if they are, on what tasks they are now working exactly. In the top line you can filter users belonging to a particular group or type of activity, and also to select the task status. But most importantly – and this is something for which this representation was created – it is the «Switching Time» column. It shows the date and time when the user changed the status of the task (in other words, “took to work,” or vice versa “completed and waiting for comments “). If a cross is displayed in this column, it means the user is currently free. Added server and client side API for statuses and tags. Check out the whitepapers on these updates on http://cerebrohq.com/docs/en/index.html, in Cerebro API Documentation section. – If the file transfer service CARGADOR is installed locally on the file server of your company (this is true for almost all tariffs, except «Home»), we strongly recommend your system administrators to update the service. 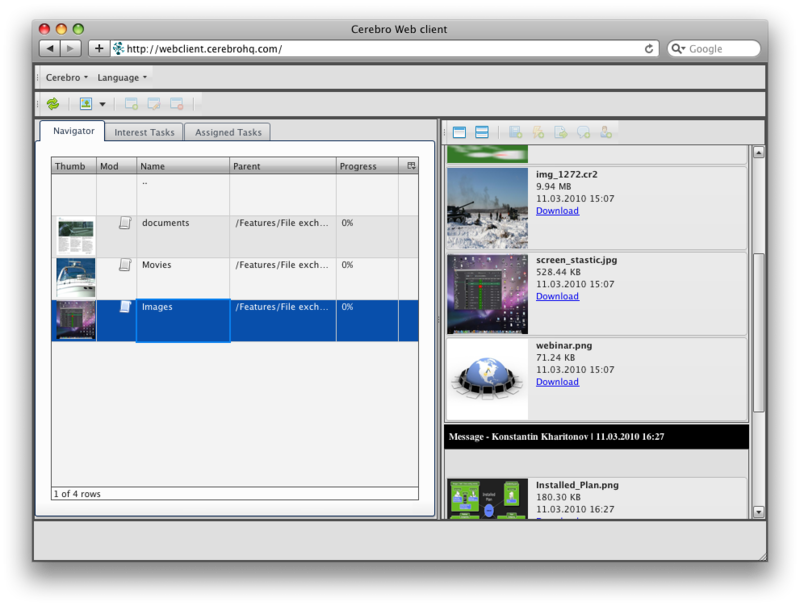 The new version of CARGADOR provides a far more stable file transferring process than all previous versions. – Improper working out of the rules of tasks status change with the links between the tasks of the various branches and links between tasks with subtasks. More detailed documentation about SDK is still in progress, but some sections are already available to inquisitive “Python-coders”. 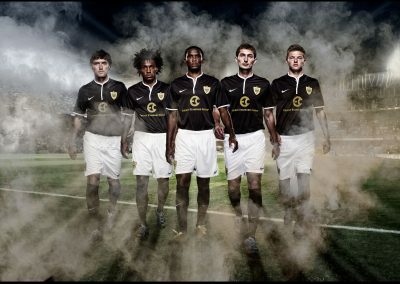 Follow our updates on our website in the “Support” section. New articles about SDK are updated almost daily, and we hope that the final documentation will be finished approximately by the May 15. In order to increase our system’s general reliability, we have launched an additional Cerebro’s replication server. That means, if the main server will not respond, users will be automatically switched onto the reserve server, and they will be able to continue their work at no problem. Replication server provides data synchronization in the real time, therefore switching between the servers will not be noticeable for users. 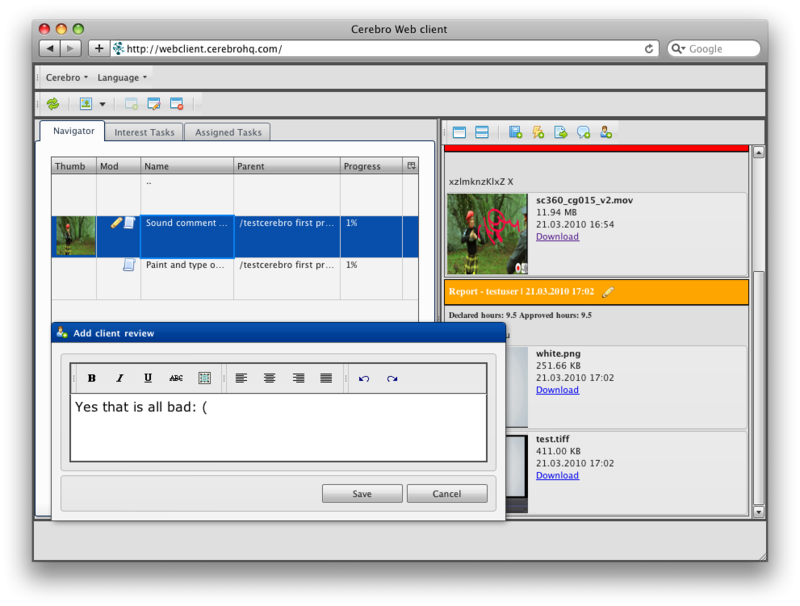 Besides SDK, new version of Cerebro also includes an updated version of a Mirada player. Besides a standard Quick Time API, FFmpeg libraries, that considerably expands the list of supported codecs and containers. Thus the user can choose what library to use for playing one of these formats. In general, from now on your favorite h.264 will run more smoothly and more precisely. Of course MiradaPro supports FFmpeg. Aside the described innovations above, we brought some more extra options, which in the essence are described in one word «Convenience! ». First, it is a new license activation principle in locally established systems. If in the previous versions our system administrator had to «to climb under a cowl» and to replace a certain special file in a certain special place, now it can be imported simply directly from the Cerebro interface. New interface displays much more information now when you manage your licenses, than it was available earlier – for example, the maximum number of users, validity periods of each license, etc. Second, new Cargador. It is able to switch automatically from a local cache of files to the network storage and back – depending on, whether the network storage at the moment of login is available. Imagine that you have a laptop that periodically moves with you from your house to your office and back. While “Old” Cargador at first would download to your laptop those files which are in the network storage, but are absent in your local cache. 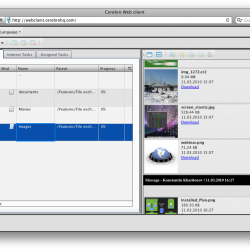 While «new» Cargador instead of wasting time on downloading- it will simply automatically connect you directly to the file server, straight away you will be able to work with them, while saving time and space on your hard disc. However, if you are more comfortable with the “Old Cargador” and you don’t want to change anything, then it is possible to switch this function off. And third, we have improved our search system. Now as criteria for search it is possible to set not only available parameters, but also the absent ones. For example, it is possible to look for tasks not only with the put-down tag, but also tasks where tag is not set. The new Cerebro Serpent is already available for those users that use Saas-Demo version and SaaS-Private Studio. But users that use local versions (Business and Corporate) will have their shipment after «May holidays», starting from May 15; a process of getting demands form system administrators. Sincerely and have a pleasant «May holidays»! Access rights can be global (granted to the whole Universe) or local, task-specific. To adjust task-specific access rights pick the task (or project), go to Task Properties tab and press the button . The access rights highlighted with bold type are not inherited from upper levels (parent objects) and therefore can be changed. Inherited access rights cannot be altered. If you need to alter inherited access rights you must uncheck Inherit Access Rights from Parent Objects checkbox first. All current inherited rights will be changed to direct and ten set to zero. After that you can edit/delete these access rights in the particular task. You can customize access rights for a picked group/user in the upper list by checking / unchecking the appropriate checkboxes in the lower list. To add a group / user to the upper list press Add a Group/User button. 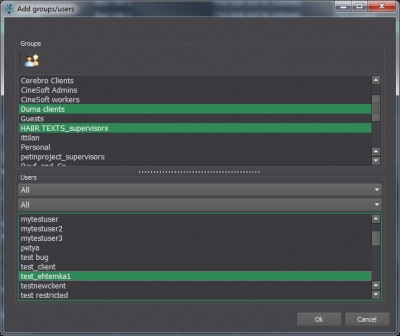 A dialog window will appear where you’ll be able to select Groups/Users to add to the list. Pressing Role button calls a window with list of roles and their specific access rights settings. Here you can see and edit current role settings and create new roles. Global access rights are being set up the same way as described above except one restriction: they can be set up for groups only (not for separate users). The latest access rights management system is not guaranteed to be compatible with the previous one. An issue noticed: if you edit access rights in the latest version of Cerebro, they can be displayed incorrectly in previous versions. 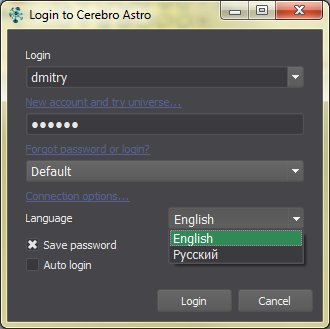 You may select the UI language Cerebro directly at login screen. module Sirena was updated. File deletion error was fixed. The First Steps Wizard assigns default file storage for a new project immediately. This will eliminate “Site list is empty” error message. Saving of long (more than 3 minutes) reviews was fixed. They are correctly stored and shipped in Cerebro now. 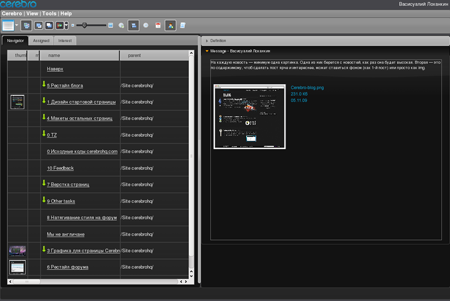 CineSoft Ltd. launches a new version of the most popular Cerebro plugin – Mirada player. Reviews saved as standalone files in a user defined folder. Cerebro professional users get a unique tool for watching images and videos in stereoscopic 3D format and what is more noticeable – this tool allows to draw stereoscopic comments as well, i.e., they are parallax adjustable! – OpenGL Quad Buffering Mode based on NVIDIA 3DVision Pro hardware technology. This mode requires an NVIDIA Quadro series graphic controller as well as shutter eyeglasses and an emitter (NVIDIA 3DVision Kit). 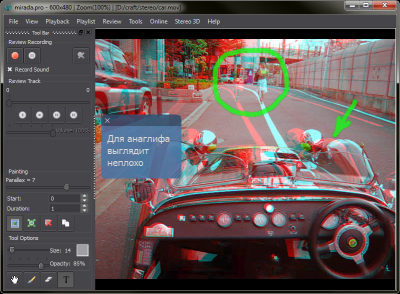 – Anaglyph Mode. You’ll need special eyeglasses with red and cyan color filters. Alongside with the described above modes Mirada Pro offers a special mode for preview theaters (review rooms) – Dual Screen Output. This mode allows to project two separate videostreams via paired projectors and filter the streams by polarized eyeglasses. A dual video output graphic controller is required to run this mode. If a user’s graphic controller doesn’t support any of the above modes Mirada Pro offers two monoscopic modes – Source and One Side Only. The first one displays the picture “as is”, the second one displays a half of it, either “left eye” or “right eye” depending on user’s choice. 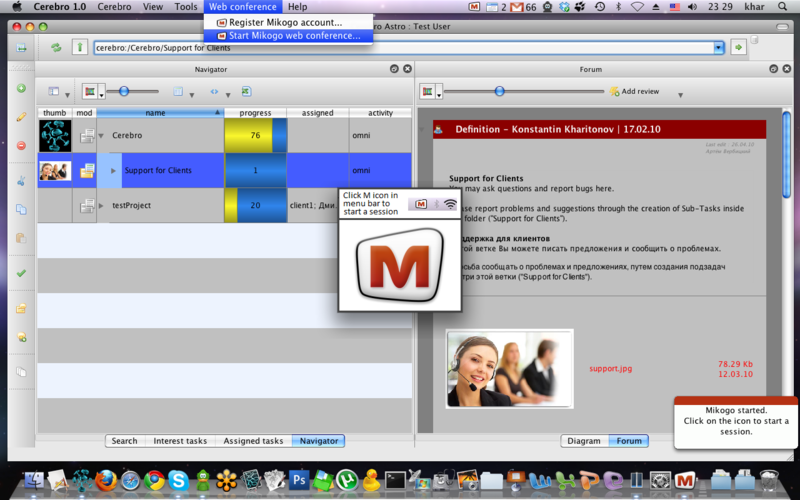 Mirada Pro offers a special tool named Online Reviewing Session. This tool allows several remoted users to establish an Internet connection, share the session link and watch simultaneously not only the content played back by Mirada Pro but each other’s actions as well (mouse cursor movements, timeline shifts, picture zoom and pan). 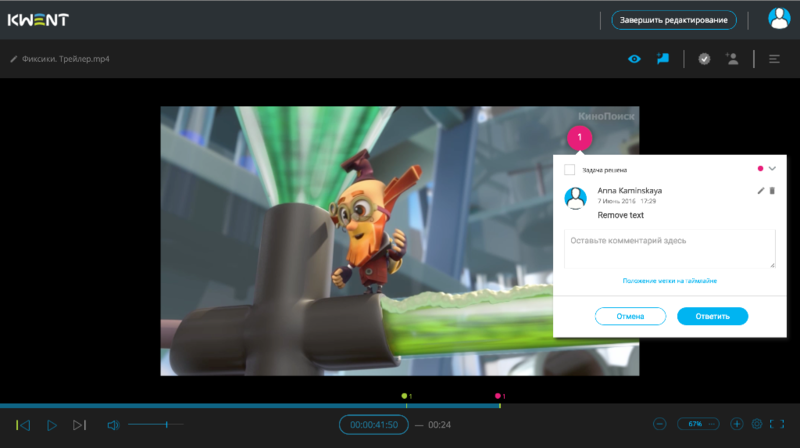 This mode is based on more progressive technologies than trendy screen sharing, and they makes it possible to share and review high quality images or videofiles on pretty slow Internet connections. 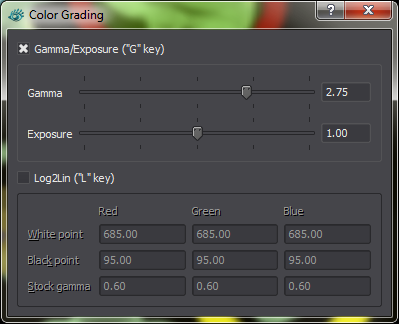 OpenGL library makes it possible for Mirada Pro to use Color Grading even with RAW formats (or other formats with more than 8 bits per color channel). This option lets a user save a review as a separate file to a defined folder if for some reason he (she) doesn’t want to publish it immediately in a Cerebro forum thread. How Do I Get Mirada Pro? 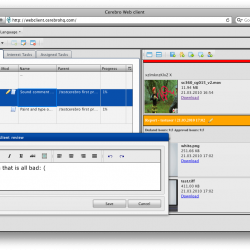 Starting with build 5794 by June 17, 2011 Mirada Pro is included in standard Cerebro installation packages for Windows, MacOS and Linux. Pro functions unlock after a special product key activation. Mirada Pro is available for all Cerebro pricing plans, including Free Demo. Product keys can be issued for 1, 3, 6, 12 months of validity or for an unlimited time. Please note that Mirada Pro product keys are “node-locked”, i.e., bound to a particular workstation – this policy is opposite to Cerebro traditional “floating licenses”. We must take into account that unlike Cerebro, Mirada Pro is a highly specialized toolkit required by a comparatively small part of a whole facility. So, this licensing approach seems to be more economically effective in terms of company’s software assets and investments. Besides, Pro functions have rather specific hardware requirements and therefore it doesn’t make much sense in installing Mirada Pro on every PC in the house. Universe administrators can attach avatars to material resources on Resources tab in Administrator window. Now every message in a forum can be identified by its creator’s avatar. You may change Avatar size in Main menu -> Cerebro Astro -> Preferences. This wizard helps create and set up a new project structure. It’s not obligatory to make all those steps, the wizard can either be closed at any moment or skip several steps and switch to, for example, creation of a new project. All docks (Navigator, Forum, Gannt chart, etc.) are now locked by default, i.e. they can’t be detached and moved. Crash caused by Navigator’s Panels style. A new role – Producer – is added. It should be assigned to a project manager responsible for financial performance of a project. Producer has access to budgets and salaries. You can change task properties for several tasks simultaneously – just select the desired tasks in Navigator. Any task property can be changed this way except tags. A new button appeared on the navigation bar. If you have unread messages, the bulb is on. A click on the button will get you to the first unread message. You will not be able set task planned date and edit Gantt diagram in previous versions of Cerebro client. You should upgrade client in order to do it. Task planed time is directly determine its duration in days. You may define work schedules from Tools -> Work Schedules. Work schedule affect only assigned users. Note that all schedule and user assignment start work only from particular date and till another schedule will be accepted. – You should pay attention to schedule/assignment start dates. Calendar works in conjunction with assignment tasks panel. You may select time interval to view in calendar. They can be day, week or two weeks. The way of task date/time specification has been changed. Mirada shows on-screen painting in on-line sessions . – Work schedule exceptions: regular holidays, user vocation/ill/extra work days. – To change from the 32 bit version to the 64 bit version you will need to download it from our website and install it! If you don’t do this, the automatic updating system will continue to download the 32 bit version. – You will be able to download your calendar from Cerebro (it will be automatically updated) into Google calendar, ICal, Outlook! For e.g. in the Google calendar, please choose Add/ Add URL menu item and insert the copied link. – This can be “cutting rooms”, cameras, etc. 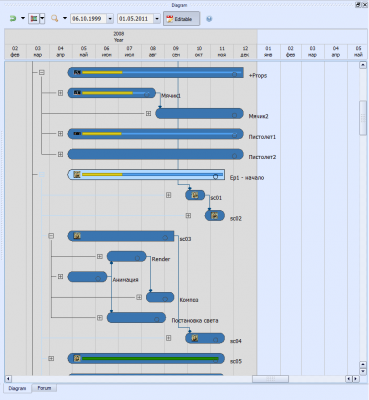 Mас OS X – Gantt chart also available! Creating new tasks by drag and dropping files into navigator function restored. 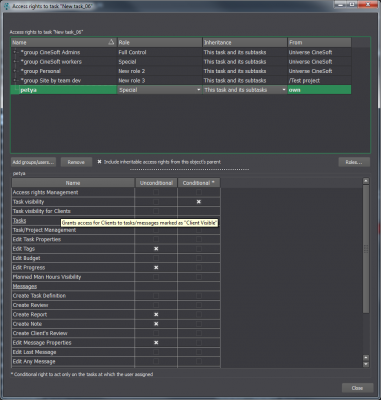 In the Navigator menu, choose a spot in the project and drag and drop 10 files there, and you will be able to create a task with 10 files or 10 tasks with one of the files , the task name will be created out of the names of each of the files. – The Gantt chart will take into account Saturdays and Sundays and work hours. You will be able to enable/disable these functions. 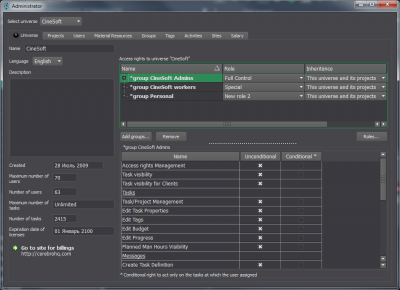 – An additional calendar mode for resource planning! Finally, on request of and dreading the threats of our users 🙂 Cerebro now includes Gantt Chart! To edit Gantt chart please go to <Editable> mode. In the nearest future calendars synchronized with Cerebro will be available (my tasks/ my meetings) for Outlook/Google Calandar/ICal. For more details please see our forum. The Cerebro web version has finally been launched! You no longer need to install Cerebro locally. If you have Internet access, your login and password – welcome aboard! Access your Cerebro account from any computer. To switch language please use the “Language” menu. upgrade your studio Cargador service by downloading updated version of Standalone Cargador & Sirena. the service works on the 4080 TCP port by default, you must configure the NAT to transfer it to an external address. We will be very glad to receive feedback from you on the new Web version! To install the application on your iPhone or iPod Touch you will need to register in the iTunes Store. If you have an iTunes account, you will be able to install the Cerebro iPhone ver.1.0. 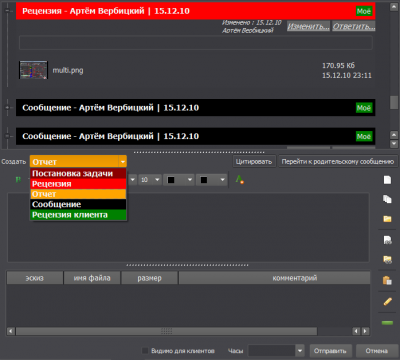 application through your computer. You will need to register in iTunes via Internet. Please note that the application works on devices with 3.0 firmware and later versions. You can upgrade firmware through your computer using iTunes. You need Cerebro login and password. The Cerebro iPhone ver.1.0 is a FREE application. After installation you will not be charged any money from your iTunes account.